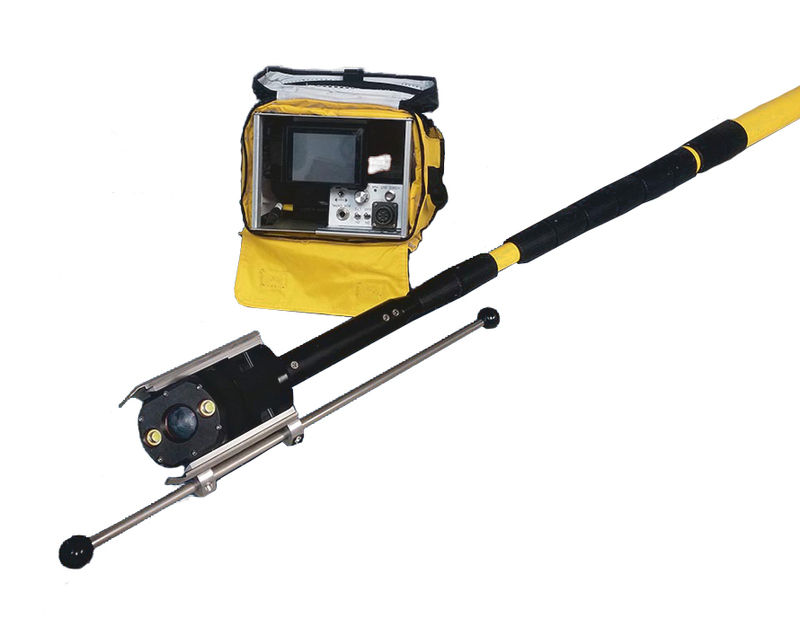 The Subsite Electronics Investigator Camera is specially designed for inspecting vertical assets such as manholes, access shafts, conduits and similar structures. This fully self-contained system is ultra-portable and easy to use. Powered by a 12V rechargeable battery, it offers digital recording capabilities, high-intensity lighting and more in a compact unit ideal for vertical structures four feet and larger in diameter up to a depth of 21 feet. Fully submersible to 5 feet. Total zoom of 40:1 (10X optical and 4X digital). Dual high-intensity white LED lights. Optional Mainline System Video Interface And Data Capture Capabilities.